Miguel started drumming at the tender age of ten years, quickly proving he was given a gift of rhythm, and a profound understanding of timing. Not content with this Miguel wanted to perform as well, so drama school was the next step. By the age of sixteen he managed to attain a full Equity card from the actors union. At the age of sixteen and a half, he left drama school, and went straight in to a musical in the west end of London called Let My People Come, where he stayed for two years, only leaving because a motorcycle accident put him out of the game for nine months. On leaving hospital, he went straight in to drumming full time, and for the next five years became the first call musician for many bands. To list a few, miguel played with The Specials, and recorded three singles with a band called The Defendants, which was produced by Jerry Dammers himself, and also The Sinceros, who were signed to Warner Brothers and had a hit single with Take Me To Your Leader. Miguel also played with a band called The Casual Band and recorded an album with the crazy producer, Tom Newman, whose claim to fame was producing Tubular Bells for Mike Oldfield. They played all over London, and gained notoriety as session musicians. In 1989 miguel hitched up with Neil Conta, drummer with Prefab Sprout, and recorded a live album at the Border Line, with the Manor Mobile recording studio. This was part of a project called Backstage, that supported many of today’s top vocalists, and was key to breaking new talent in those days. Next came the now infamous band National Gold, a rock blues outfit. They became the subject of a BBC program called ‘Fake’, which was hosted by Ann Robinson, after they were duped into recording an album with an individual claiming to be the legendary Peter Green of Fleetwood Mac. He was eventually unmasked as an egg and potato seller, but not before Roger Taylor (Queen) and Jimmy Page (Led Zeppelin) got involved, and Virgin offered a million pounds for the album, aptly named ‘Fools Gold’!! More recently Miguel has been working with CMR country music radio, performing at line dance shows. These have included performances at the Birmingham NEC, Newcastle Arena, the Manchester Ninex Stadium, and Wembley Stadium. Some of the music from his album Slamming, which was recorded under the name of Backdoor with keyboard player Mark Young, has been included on many different line dance compilations, and videos including one with Lionel Blaire. One of the songs on the album, ‘The Big Goodbye’, was re-recorded as ‘The Gift of Life’, with Patsy Palmer of Eastenders on backing vocals, and released to raise money for charity. Since 1996 Miguel has been a member and lead vocalist of England’s top country rock band Union Jack. They have toured the U.S.A., winning talent shows in Nashville where they beat the then unknown Loan Star and a very young Leann Rimes. Today the band can be found at all the big festivals around England in the summer time, such as the Americana where this year (2001) they supported the Bellamy Brothers. 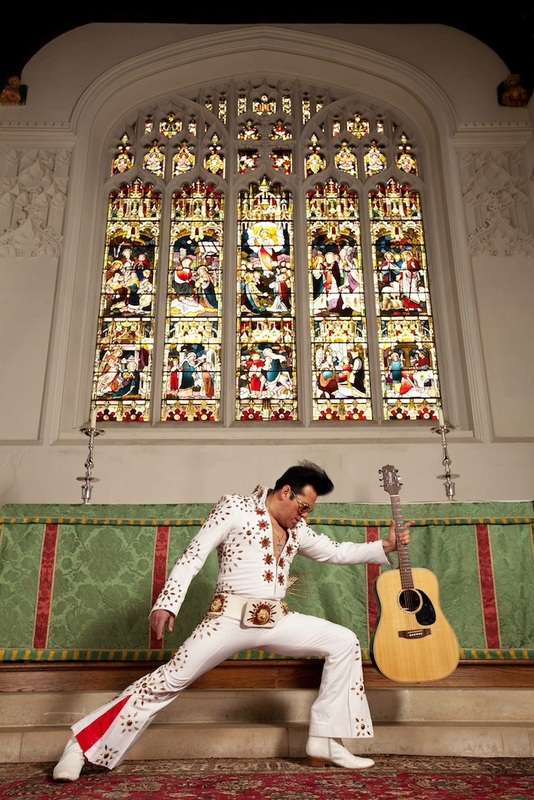 2006 It’s official Miguel is one of the Top Ten Best Elvis Shows in Europe. Miguel Became on of the top ten at the Best Elvis’s in Europe. At the contest, held Blackpool first week in January 2006. Miguel divides his time now, between, working Solo Cabaret all over the UK and Europe. Vocal coaching for record companies, and session singing, for various artists. Holiday Parks in the UK and abroad. Weddings. Special Corporate events and some of the London’s finest restaurants. Or working with his Eight piece Motown Soul Band Or, The Elvis Experience Six Piece Band, Or, The F.D.S Show (Frank Deano & Sammy Show) and last but not least (The Fabulous Las Vegas Nights Show).